Two months ago, the world learned of the untimely demise of a young missionary, John Allen Chau, at the hands of the Sentinelese tribe in the Bay of Bengal. Despite knowing that the Sentinelese is an isolated and protected tribe, Chau made it his mission to try and establish contact with them to spread the word of God. His foolhardiness cost him his life when he was killed by arrows released from the bows of the tribe. 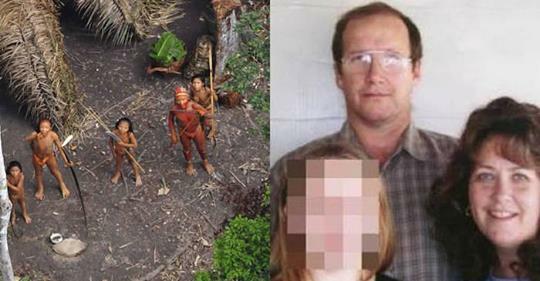 A month ago, another missionary, Steve Campbell, from America trespassed through a restricted part of the Brazilian rainforest that has been deliberately closed off to protect the Hi-Merima, an indigenous tribe that lives there. Not much is known about this tribe and the Brazilian government has so far respected and protected the area that they occupy. There are quite a few tribes similar to the Hi-Merima, in Brazil whose lands are protected by the government and area closed off to the general public. The reason being that these people lead such isolated and wild lives that any contact with the outside world could endanger them. Since their immune systems have not been exposed to any of the common diseases affecting mankind, their tribes could easily be wiped out by something as common as the flu. The FUNAI which is a governmental protection agency for people like these, has laid down a lot of restrictions and laws to protect the isolated tribes like the Hi-Merima tribe. Having been witness to tribes losing nearly two thirds of its populations when contacted by outsiders, FUNAI has stood its ground for the past 30 years about no contact. Campbell’s disregard for these laws has put the government scanner on him. The consequences of his actions are so serious that if he is found guilty of deliberately trespassing on these lands to promote his religion, he could be charged with genocide. Campbell however, denies these allegations, saying that he ventured into the Hi-Merima territory by accident when he was teaching the Jamamadis, (another tribe that his family has been in contact with for over five decades) to use a GPS device. According to his version of things, the only way he could access the Jamamadis was through that stretch of land. Experts believe that there will be more attempts made by missionaries to reach the indigenous people because of Brazil’s new president Jair Bosonaro who has made an evangelical preacher the new minister of indigenous affairs. Bosonaro too pledged during his election campaign that he would open up the lands of the indigenous people for economic activities.He believes that these people should be educated and embrace the Western way of life.